Last year, I experienced a VR video around social impact for the first time. It was the video that filmmaker Chris Milk had produced about a Syrian refugee camp. 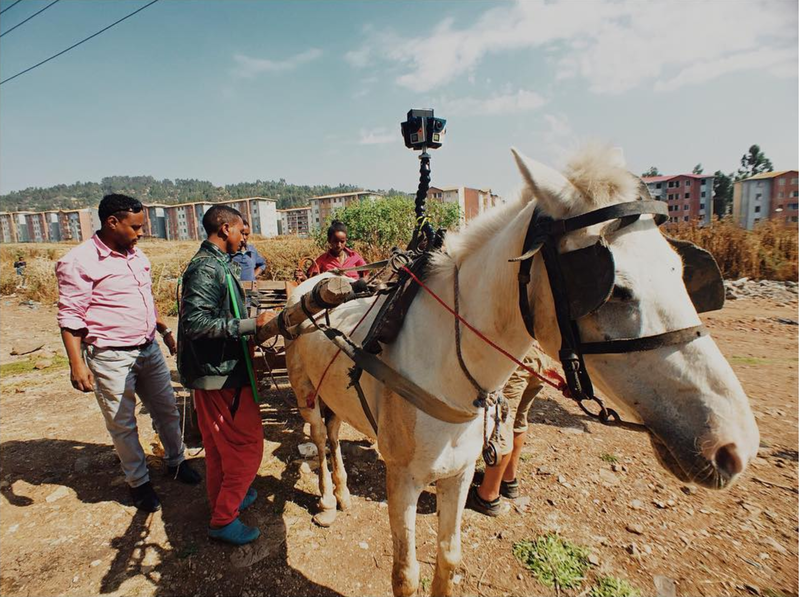 I came away from that experience both moved by what I witnessed through the story, and also excited about the possibilities for using VR video for not just non-profits and global issues, but for telling the stories of brands with a mission. What follows is the story of how we imagined and produced a VR video experience and custom VR website for the brand Parker Clay. You can experience the VR project here. With this in mind, I opened a discussion with Ian Bentley, the founder of Parker Clay, a boutique fashion brand that makes beautiful leather and cotton fashion accessories with a social mission to empower women in Ethiopia, where their products are made. Ian expressed his frustration with previous videos they had made, which left him searching for a way to tell their story in a deeper way, that really took people on a journey into their story. How do they empower women? How are these women's lives transformed? How are their products made? What is Ethiopia all about? After experiencing VR as well, he grasped the opportunity to use the medium give people a deeper way to experience what they did. While most VR video productions today have budgets upwards of $500,000, how could a very small fashion brand with a limited production budget create a VR video experience? Our timing was fortunate, as the costs of VR gear was falling rapidly, while there was a simultaneous emergence of new platforms to host VR video and create web experiences with VR. Seeing the convergence of these trendlines gave us confidence that we could produce a custom VR video experience at a fraction of the cost of most VR video projects. Impact: Bring people inside the life of one women who works for them, and what her life is like. Transparency: Show how the brand makes what they make, to demonstrate their ethical commitment. Context. Show where things happen. Ethiopia isn’t well understood in the west — people draw a blank when they hear it. So we wanted to bring people into the culture and show the place. We gathered a small crew for the journey in Ethiopia. While I have a background as a photojournalist and storyteller, I knew the project needed another creative to be successful. So I invited my friend Sarah Fretwell, a fellow photojournalist who also had experience shooting in the developing world, to collaborate on the production. We also enlisted the support of my wife Linnea as our production assistant, and arranged to work with Parker Clay’s Ethiopian Production Manager Henok as translator and fixer. As for gear, we used a 360Heroes rig with 6 GoPro Hero4 Black cameras. We the gear ready, we started production. Chapter 1: Zewditu’s Story: For this chapter, the goal was to show impact. We spent time with Zewditu, a young woman who makes leather goods for Parker Clay. We were able to spend time with her as she worked, and then traveled with her to her village near Addis Ababa. In the village, we were able to capture the reality of how a steady job with a decent salary affords her the opportunity to bring a little extra money and gifts home for her family on the weekends. These small gestures make a huge difference in the lives of her families, who are cattle herders. 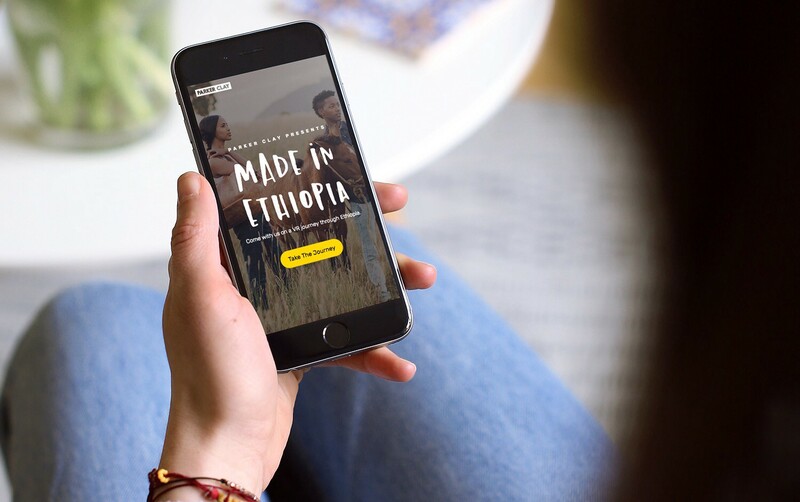 This story helps viewers connect personally with an individual worker, and see how a purchase for Parker Clay really does transform lives in Ethiopia. Chapter 2: The Makers. For this chapter, the goal was to show transparency. We decided to film the production of how a leather bag and cotton blanket are made. So we set up some days to film at the production facilities in Addis Ababa, and spend time with the women artisans. This story helps people really experience first-hand how each product is made. The quality craftsmanship, positive factory conditions, and use of ancient techniques comes through wonderfully. Chapter 3: This Is Ethiopia. For this chapter, the goal was to show context. 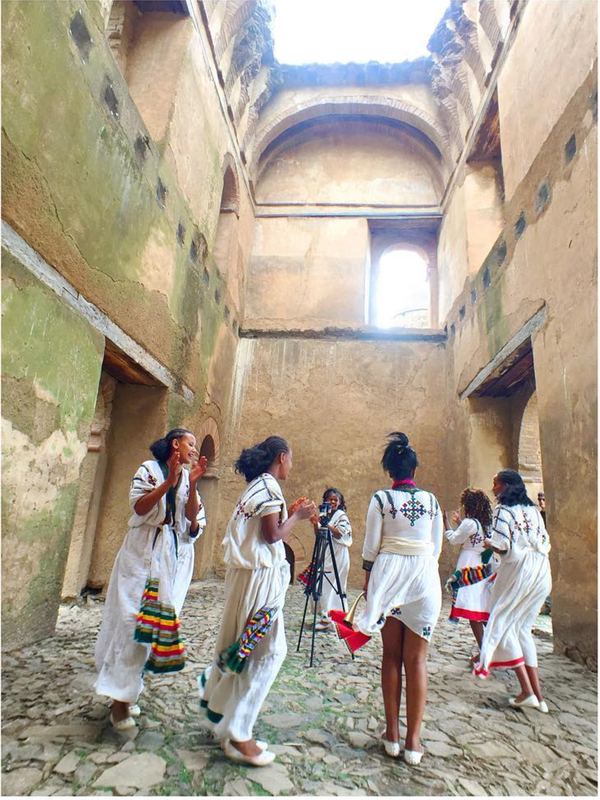 We set out to capture the beauty and culture of Ethiopia. We were fortunate to be in Ethiopia during the annual festival of Timkat, a Christian holiday celebrating the epiphany. Everywhere we went, we witnessed people dancing, singing, and playing music amidst the backdrop of prayers and religious processions. This story helps people form a vision of Ethiopia as a land of beauty and faith, not suffering and famine. Upon returning home, we stepped back and began to think about how best to deliver the project. While the hype is high for consuming VR with a headset, the reality is almost nobody has one. In fact, mass adoption of VR headsets is five years away. So we wanted an experience that would be available on any device, right from the browser, right now, without compromising the 360 experience. We then realized that to distribute the video widely, we were really limited with Facebook, Vimeo, and YouTube. While great, they don’t offer enough interactivity or customization. Another problem is that most of these don’t even work directly from a mobile browser with an embeddable player — they are really meant to work just in those platforms own apps. So the first challenge was how might we embed VR in the browser and build our own experience on top of it? We found it with OmniVirt, a cutting edge platform for hosting and monetizing VR videos. Their embeddable VR video player buffers quickly, is fully responsive, offers an exceptional in-browser experience with gyroscope utilization on mobile, and allows the user to easily switch to headset mode. 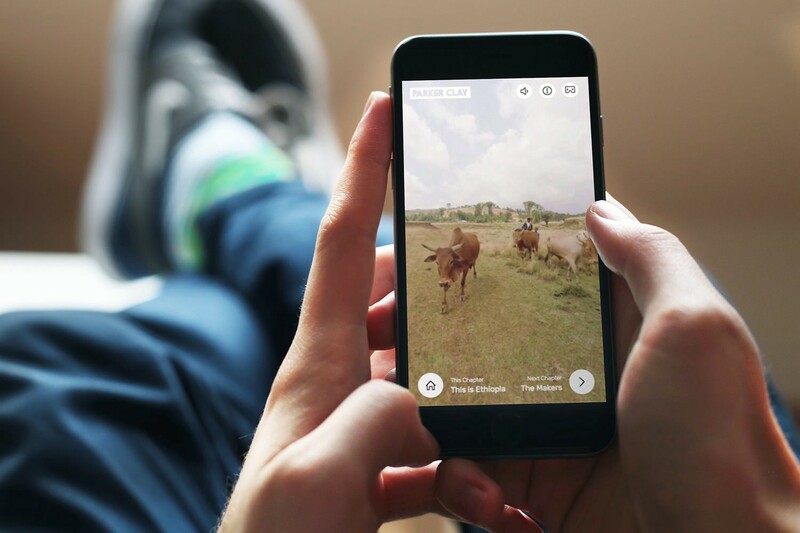 In addition, they offer a developer-friendly API for creating custom experiences and even controlling camera focal length, field of view, quality, and more. For anyone looking to code up their own custom VR video experience websites, no other platform can match OmniVirt’s offering. Next, we started to build our own microsite from scratch. We designed our own UI elements and controls over the videos, and created a chapter page that let people ‘step’ through the story chapter by chapter. We decided to utilize the ability to overlay HTML elements over the VR video in order to create a unique introduction to the experience and each chapter. You can see the VR microsite here. One of the requirements we wrote up when imagining the custom VR microsite was to create a way to drive conversions to Parker Clays online store. It wasn’t enough to simply have the experience end at the last chapter — the site needed to offer visitors a path to explore and shop Parker Clay’s products, without being heavy-handed about it. The vision was that once a person has experienced the story of Parker Clay — and built empathy with the brand — we wanted to invite them to shop. For small e-commerce retailers like Parker Clay, the prospect of converting viewers into visitors to their online store, and new customers, was part of the value proposition from a business standpoint in investing in the project. Once we launched the site, we started to see initial customer feedback, and the response was wonderfully positive. Existing customers shared that they appreciated Parker Clay in a deeper, more personal way, while new customers said they felt connected with the brand in a unique way, and shared the project widely. After the site launched, the initial analyitcs have been very encouraging. More than 15% of unique visitors to the site clicked through the welcome page at the end of the VR experience to visit Parker Clay’s e-commerce shop, and the conversion rates to sales from this channel are better than any of the PR and social media efforts that brand is doing. In addition to simply promoting the VR experience online, Parker Clay’s founder, Ian Bentley, sensed an opportunity to bring VR to their customers directly. As a small fashion brand, they get a lot of exposure and sales through pop-up shops and events. In addition simply selling their products, they’re now bringing a VR headset on the road with them to give new customers an opportunity to experience the VR story in person at each pop-up shop and event. With the cost of a basic VR camera now was low as $200, along with the proliferation of new tools and platforms to build browser-based experiences, any brand can now easily create VR videos and custom interactive experiences. Compared to the average VR project production cost of upwards of $500,000 in 2016, the lower production costs and ability to quickly and easily code up interactive experiences allows smaller brands to leverage VR video to tell deeper, multi chapter stories, and make it accessible to everyone, directly from the desktop and mobile browser. The final question: Can VR build connection, and conversion? The value for Parker Clay with this project was less about saying to everyone ‘Hey! We’re doing VR, look at us!’ The hype cycle is way past peak novelty. We did this project on a shoestring budget, without the luxury of $25k VR camera rigs and big post-production budgets that creative agencies and their clients have. Instead, we embarked on a journey to explore what would happen if people could step inside a social impact brand and experience their mission, transparency, and context. How would they feel about the brand after the experience? Would the experience increase brand affinity, as well as drive new sales? These were the questions what we set out to answer. The results have been overwhelmingly positive, and we hope we can serve as inspiration for other social enterprises to produce their own VR experiences. We invite you to try the Parker Clay VR site. We love it on desktop, but we think it’s even better on mobile. Give it a try.